Are you often left in a state of inactivity by the sheer bulk of outstanding tasks weighing on your mind? Numerous studies have shown that stress comes not from having too much to do, but from trying to keep track of it all. 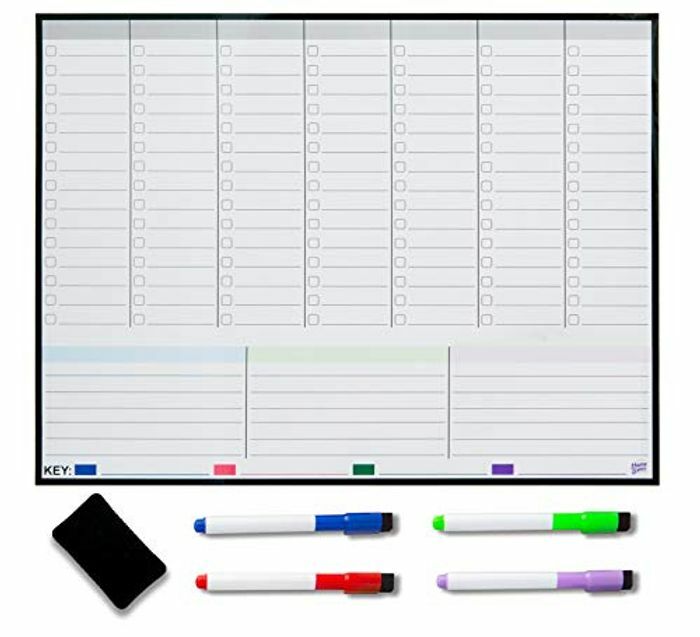 Relieve your stress by using the Home Lives Magnetic Whiteboard Weekly Planner to get organised and don't forget to schedule in some "Me Time"! This is great. May help me be organised more! One can hope.